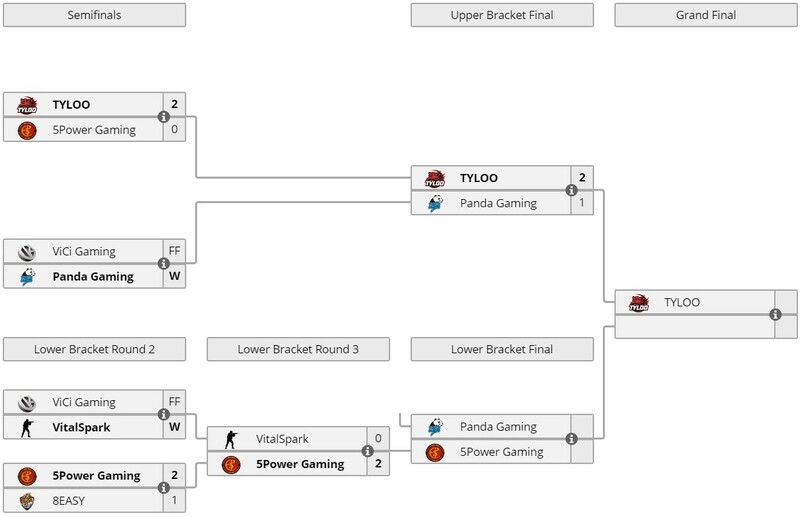 The third day of the DreamHack Masters Dallas - Chinese Qualifier came to end with Tyloo moving on to the Grand Finals as Panda Gaming fell down to the Lower Bracket to match-up against 5Power Gaming tomorrow in the Lower Bracket Final. Panda Gaming gave Tyloo a tough fight before they had to concede defeat in the final map, Train, not because of poor performance but due to connection issues faced by the organization. After winning on their own pick, Mirage, by a score of ‘16-5’, Tyloo were pretty comfortable taking an early lead. But Panda was not done yet as they gave it their best shot in the second map, Dust 2, though Tyloo were able to successfully take the match into overtime after being down fours rounds, Panda sealed the deal taking the second match in their favour. The final map, Train, would have been quite the match but Panda Gaming had to forfeit due to connection issues. Hence Tyloo were off the leash happily striding into the Grand Finale. It is not yet over for Panda Gaming who will be facing 5Power Gaming in the Lower Bracket Finals tomorrow, Panda still has a chance to defeat Tyloo and prove its worth but only if it manages to defeat 5Power first. 5Power also faced a scare against 8EASY, the same team who gave ViCi a run for their money. 5Power took care of them in the decider and went on to defeat Vital Spark as well to meet Panda Gaming. Stay tuned to witness which team makes represents Asia at the DreamHack Masters Dallas 2019. OG vs OpenAI: Can the TI champs take down their most formidable opponent yet?